What is it about progressive music that makes me tick? Is it the musicianship? Is it the songs? Is it the respect I have for the bands? All these factors add up into a love of progressive music. Since my childhood I’ve been listening to bands like Genesis, Yes, and Pink Floyd. But it wasn’t till my late teenage years that I really developed a love for the music after I discovered Coheed & Cambria, Mastodon, and Tool. All of these bands were influence by the great prog masters, but what they did was meld it into their own style. I enjoyed this music more and more, and eventually start digging back further to bands like Rush, King Crimson, and Emerson Lake & Palmer. I love progressive music, but I wonder what its current state is? Will it last? Will it survive into the next generation? All valid questions if you ask me. When listening to music that came out in the early 60’s you get this real feeling of simplicity. Then by the late 60’s the music started to get more complex. It was at this time you could tell people were fed up with the same old pop bands, thus bands like Syd Barrett’s Pink Floyd and King Crimson started to emerge. Listeners wanted something more complex, something they could sink their teeth into. Bands also started writing more concept records. Bands also were starting to use more complicated arrangements thus adding to the listener’s experience. Musicians like Genesis’ Steve Hackett were digging into odd time signatures and classical influences. Hackett also made many innovations such as inventing finger tapping. Genesis added so many new things to progressive music like dynamics, light and shade, which made their music stand out from the other music of the time. Also making them stand out was front-man, Peter Gabriel. Its Gabriel’s odd mannerisms and terrific voice that made them stand out. Then there was Yes. The musicians in Yes were pretty much an orchestra composed of five people. Whether it was Howe’s nimble fretwork, or Rick Wakeman’s keyboards, Yes took the required musicianship in progressive music up a whole notch. 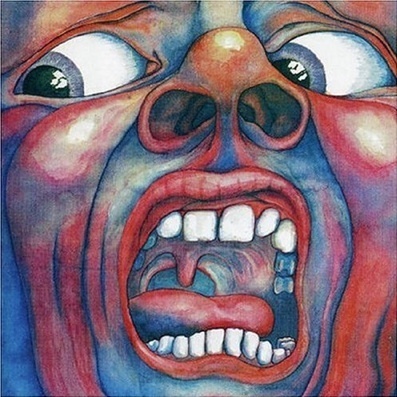 Then you have King Crimson. King Crimson was one of the first bands that really went overboard with experimentation. You didn’t know whether King Crimson’s music was mush or plain musical brilliance. You can listen now and see how overwhelming and innovative they must have sounded. They were one of the first bands that really experimented, and for this we can thank them. One of the key things in progressive music was the album, and more importantly the concept album. The undisputed kings of the concept album are Pink Floyd and their album, The Wall. It was within that double album that musicians got to hear what a true concept was. They even followed it up with a movie of the same name. It also showed the importance of writing great songs, that even though were still progressive in nature were understandable and listenable by the general public. Songs like “Hey You,” “Mother,” and “Comfortably Numb” do just that. One of the most important bands that needs to be mentioned when talking about progressive rock is Canadian power trio, Rush. 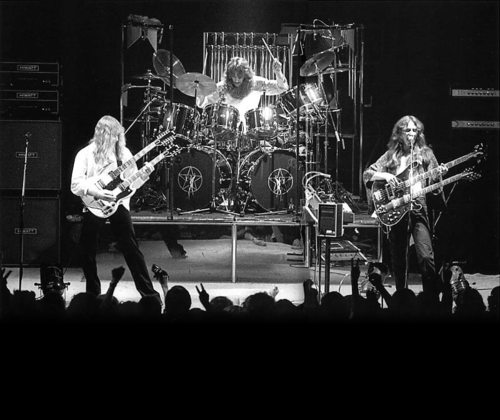 Rush took the influences of British progressive music melded it with their other favorite hard rock bands. By doing this, Rush made a new sound that was a little heavier and more majestic than bands that came before them. Rush took musicianship and songwriting to another level that not many have reached. In the 80’s as music was getting heavier, so did prog. Bands like Queensrÿche which was a very straight ahead metal band who eventually moved into progressive music with the release of their pivotal album, Operation Mindcrime. When Queensrÿche started to lighten their sound they left a void in the progressive world. Thus the proverbial torch was passed again. This time it was picked up by the Berklee schooled musicians, Dream Theater. It was this combination of early prog influences like Yes mixed with the thrash metal of Metallica that made Dream Theater amazing. They opened a whole new realm and legitimized progressive music so that bands like Tool could come to the forefront. 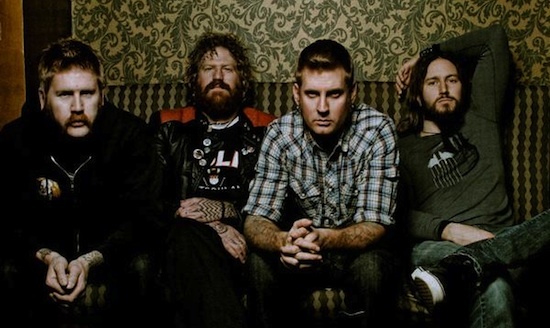 In the early 2000’s two of the most important bands that came out were Atlanta’s, Mastodon and New York’s, Coheed & Cambria. These two bands are now holding the proverbial torch. Both of these bands took the influences of Genesis, King Crimson, and Rush and added more heavy influences. Both of these bands also started embracing the concept album that had been neglected since the late 80’s. Coheed even embraced a concept saga consisting of six albums so far. But who will hold torch for progressive music in the future? Could it be Periphery the Bethesda, Maryland based prog-metal band? Could it be Georgia’s, Baroness? It remains to be seen, but I do know progressive music will continue on, as a very important part of our musical landscape.